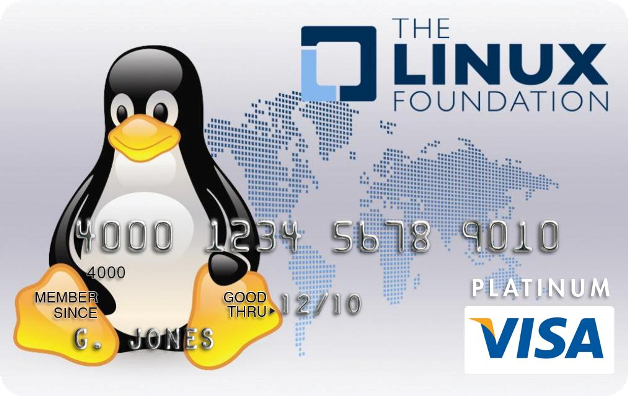 Linux Foundation Launches Branded Credit Card. Yes, It Features Tux. The Linux Foundation, the non-profit that supports the growth of the Linux kernel, is today announcing an affinity Visa Platinum credit card for people who want to contribute to advancing the OS through the organization’s initiatives. Reading the press release announcing the new credit card made me raise my eyebrows, but after giving it a bit of thought I think that this is actually not that bad an idea. Jim Zemlin, executive director of The Linux Foundation in a statement says people can contribute to Linux in a variety of ways (writing code, marketing, etc.) but now have a convenient way of identifying themselves as supporters of the community “by carrying Tux in their pocket”. And then of course there’s the financial incentive. Initially, the custom Linux Foundation Visa Platinum card is only available to U.S. residents, but the organization expects to expand in the coming months. You can apply here. Linus must be glowing with pride. Update: there’s also LinuxFund.org, which looks similar and has been around since 1999.